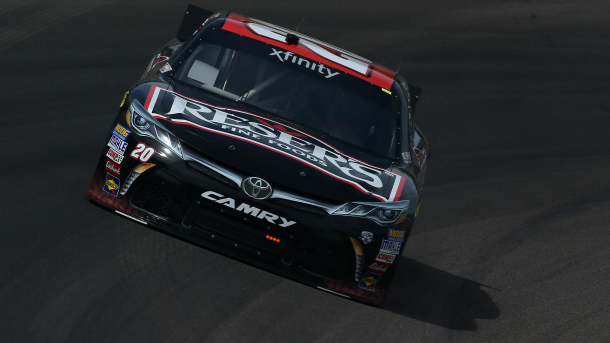 Once again on Friday at Phoenix International Racway, NASCAR XFINITY Series (NXS) Rookie of the Year (ROTY) contender, Erik Jones – with a lap speed of 134.053 MPH – placed himself at the top of the scorning pylon at the end of the second Axalta Faster. Tougher. Brighter 200 practice session. Jones’ fellow Joe Gibbs Racing teammates Daniel Suarez (133.889 MPH) and Kyle Busch (132.861 MPH) were second and third fastest respectively, while Ty Dillon (132.856) was fourth and ROTY contender Brandon Jones (132.763) was fifth. Rounding out the top-10 fastest drivers were Brad Keselowski (132.758 MPH) who was the sixth, ROTY contender Brennan Poole (132.168) seventh, Justin Allgaier (132.018) eighth, Jeb Burton (131.815) ninth and Justin Marks (131.767) posting 10th. Later today the teams will return for their “Happy Hour” (final) practice, which is slated to run from 5:30 p.m. – 6:25 p.m. (ET) and televised on FOX Sports 2. Saturday at 11:45 a.m. ET on FOX Sports 1 the series will have their qualifying session to determine the starting lineup for that afternoon’s race, and it was last November (14th) that Kyle Busch set the new series qualifying track speed of 138.504 MPH at Phoenix Int’l Raceway. The 12th annual Axalta Faster. Tougher. 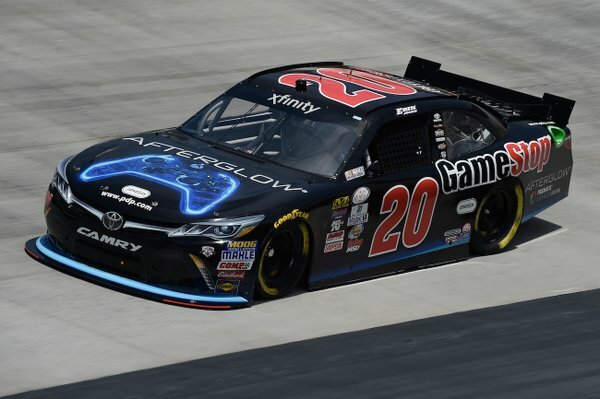 Brighter 200 is scheduled to get started around 2:50 p.m. (ET) Saturday afternoon, and FOX will provide television coverage of the race. 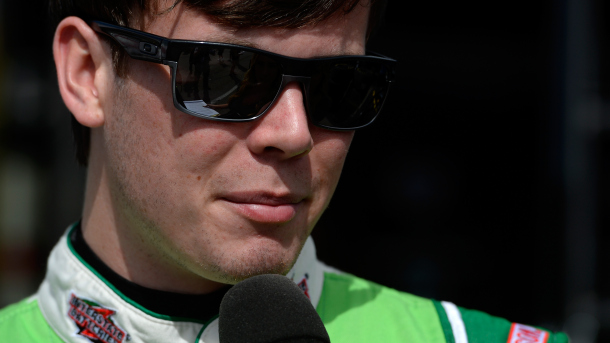 2016 NASCAR XFINITY Series (NXS) Rookie of the Year (ROTY) contender, Erik Jones – with a lap speed of 134.128 MPH – was the quickest Friday morning during the first NXS Axalta Faster. Tougher. 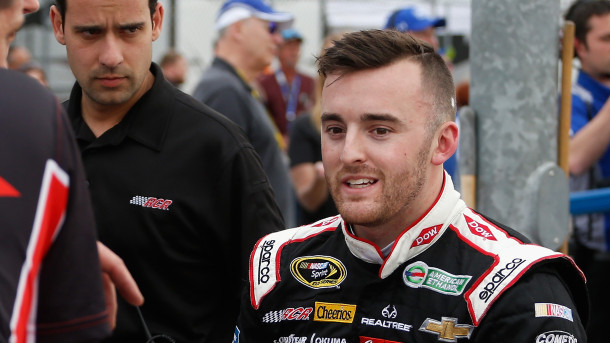 Brighter 200 practice session at Phoenix International Raceway.Second quickest in the session with a lap speed of 133.924 MPH was Ty Dillon, and he was followed by Ryan Sieg (133.393 MPH) who was third, Brad Keselowski (133.264) fourth and Blake Koch (133.018) was fifth. Rounding out the top-10 quickest drivers were Darrell “Bubba” Wallace Jr. (132.817) who was sixth, Justin Allgaier (132.680 MPH) seventh, ROTY contender Brennan Poole (132.572) eighth, Austin Dillon (132.563) ninth and Brandon Jones (132.159) posting the 10th-quickest lap speed. The teams will have two more practice sessions today with their second session running from 3:00 p.m. – 4:25 p.m. (ET – On FOX Sports 1), and then their “Happy Hour” (final) practice from 5:30 p.m. – 6:25 p.m. (ET – On FOX Sports 2). Saturday at 11:45 a.m. (ET – On FOX Sports 1) the series will have their qualifying session to determine the starting lineup for that afternoon’s race, and it was last November (14th) that Kyle Busch set the new series qualifying track speed of 138.504 MPH at Phoenix Int’l Raceway. 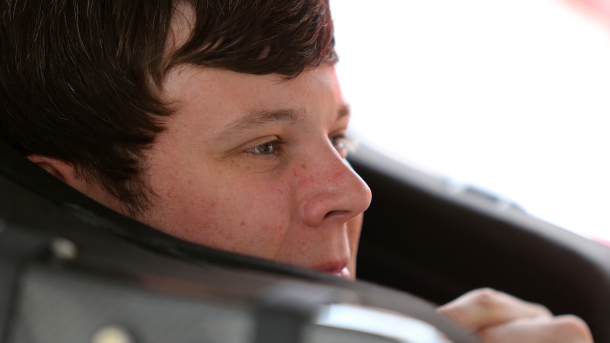 2016 NASCAR XFINITY Series (NXS) Rookie of the Year (ROTY) candidate, Erik Jones – with a lap speed of 183.094 MPH – was the quickest Friday afternoon during the first practice session for Saturday’s NXS Boyd Gaming 300 at Las Vegas Motor Speedway (LVMS). Last weekend’s series event winner, Kyle Busch (180.481 MPH) posted the sixth-fastest lap speed, while Ty Dillon (180.331) was seventh, Chase Elliott (179.289) eighth, Darrell “Bubba” Wallace Jr. (178.950) ninth and Aric Almirola (178.642) rounding out the top-10. “Happy Hour” (final) practice will be later today from 6:00 p.m. – 6:55 p.m. (ET), and television coverage provided by FOX Sports 1. On Saturday at 12:45 p.m. ET on FOX Sports 1 the teams return to the track to determine the starting lineup for that afternoon’s race, and it is Brad Keselowski who currently holds the series qualifying track record at LVMS with a lap speed of 185.427 MPH – which he set on Feb. 27th, 2010. 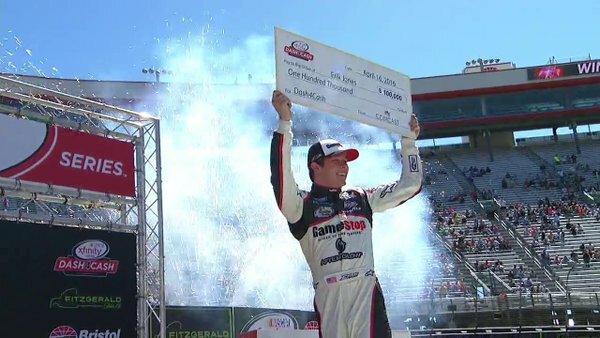 The 20th annual Boyd Gaming 300 is set to get started around 4:20 p.m. (ET) Saturday afternoon, and FOX Sports 1 will provide television coverage of the event. 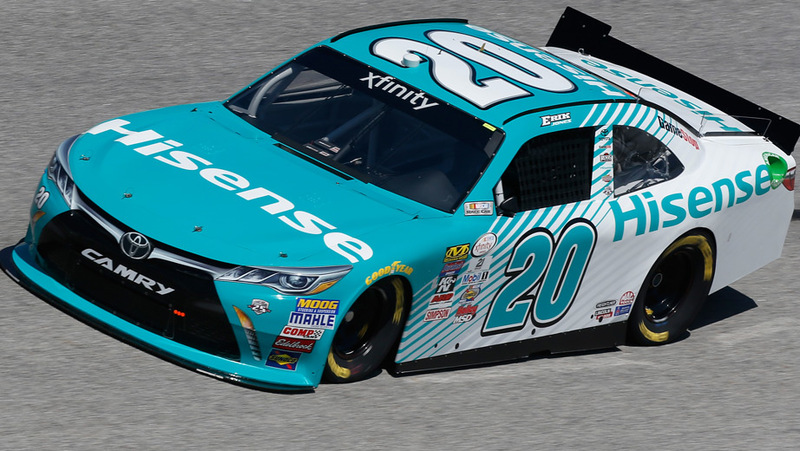 Once again on Friday in the NASCAR XFINITY Series (NXS) at Atlanta Motor Speedway (AMS), it was series Rookie of the Year (ROTY) candidate, Erik Jones, at the top of the scoring pylon – with the fastest lap speed of 181.467 MPH – during the final 2016 NXS Heads Up Georgia 250 practice session. Kyle Busch was second fastest on the scoring pylon with a lap speed of 180.934 MPH, and he was followed by Ty Dillon (180.481 MPH) who was third, Daniel Suarez (180.351) fourth and Kyle Larson (180.316) was fifth. Rounding out the top-10 fastest drivers in the “Happy Hour” (final) practice session were Brad Keselowski (179.505 MPH) who was sixth, Kevin Harvick (179.319) seventh, Paul Menard (178.937) eighth, series ROTY candidate Brandon Poole (178.332) ninth and Jeb Burton (178.058) posting the 10th-fastest lap speed. Early Saturday morning at 8:35 a.m. ET on FOX Sports 1, the teams will have their qualifying session to determine the starting lineup for the afternoon’s race. Greg Biffle is the current series qualifying track record holder at AMS with a lap speed of 192.300 MPH – which he set on Oct. 25, 2003.